Learn about Portland, Maine, by reading The Maine Attraction by Charlie Spence, IFA Member and Aviation Writer. It features a mini, but thorough tour of the destination, plus all you'll need to know to plan your trip including getting there, objective information on places to stay and eat, and things to do. At the end of the article, we've provided a summary of the contact information for your easy reference. Enjoy! The state of Maine has so many things to offer a visitor that it is difficult to know where to start. But decisions must be made and we'll begin our Maine adventure in the Casco Bay/Portland area, the state's largest city and where within a few miles there are samplings of much of everything offered in the rest of the state. Portland lies between the forest-covered mountains and the sea, jutting out into Casco Bay and surrounded by water on three sides. That water off the Maine coast provides some of the finest eating to be found. My introduction to this fascinating state was years ago when I did publicity for the state's sardine industry, which leads the world in production of these flat tins of young herring, producing more than 75 million cans a year. Even then, however, before checking into a hotel I would find the nearest restaurant and savor a Maine lobster dinner. Maine lobstermen land around 50 million pounds of these crustaceans annually from the cold, clean waters off the rocky coast. Drop in to almost any restaurant and you can find lobster on the menu. 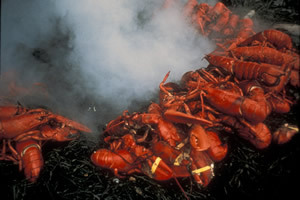 If you are lucky enough to be with a large group, a variety of caterers will set up an authentic Downeast lobster bake. A look at a typical lobster bake. But I digress. Fine eating is but one of the attractions of the Portland area. The 18th century poet Henry Wadsworth Longfellow, who spent his childhood in Portland, called it 'a jewel by the sea.' The Calendar Islands'365 in all'dot Casco Bay and some of the larger inhabited ones can be visited by ferry from Portland. The islands were named by Captain John Smith of Mayflower fame who said there is 'one for every day of the year.' (Actually there are 785 if you include ledges that remain exposed during high tide.) On the islands you will find a slower pace and an opportunity to wander them on foot or by bicycle. For a real treat, dine at one of the spots near the dock on one of these islands, enjoying lobsters and clams dipped in melted butter. But I digress again. Take a tour boat to explore the bay and see the seals, admire the lighthouses (Seven of Maine's sixty lighthouses are right here near Portland), perhaps even have an at-sea lobster bake on one of the tour boats. Or, try a kayak excursion for a more intimate exploration of the area. Go after striped bass yourself in the shallow waters. Captain John Ford knows where they can be hooked. The water has always been an integral part of Maine. In early years tall ships plied Casco Bay and the many lighthouses shined welcoming guidance. Landlubbers still can get a great view of the waterfront by taking a ride aboard the narrow gauge railroad. An authentic 2-foot gauge railroad chugs along a 30-minute, 3-mile journey beside Portland's waterfront that also offers an opportunity to visit the railroad museum. The season of the year you visit will dictate much of your activity. Fortunately, Maine has four distinct seasons that offers a variety. Summer finds the sandy beaches that line the shores of South Portland, Scarborough, and Cape Elizabeth welcoming visitors to this area that contrasts so sharply with Maine's rugged coast. Neatly manicured golf courses beckon, and trails for walking, rollerblading, or jogging take you along the waterfront. Winter brings it own unique outdoor activities. Downhill and cross-country skiing are available, usually until late spring. Cross-country skiers will particularly enjoy the quiet and isolation and the experience of skiing next to the ocean. Spring provides it own unique pleasures and, of course, fall in Maine is breathtaking in its glorious foliage. Portland is the largest city in the state and has a staggering number of restaurants, and even if you are not particularly fond of fresh lobster and other seafood, your choice of eating places ranges from Afghan to Cajun, from casual to elegant. But the lobsters are available in many different menus. Once again, because of lobsters I digress. First Friday art walk shares the art of the area. Shopping must be on your schedule, if nothing more than to visit the world famous L.L. Bean store in nearby Freeport. Whether you want to take a leisurely hike through the woods or sign on for one of the trips or tours, you will find this a Mecca for lovers of outdoors activities. If you have the time, attend one of the outdoor discovery schools to learn kayaking, fly casting, outdoor photography or another of the several quick courses. Portland's waterfront is alive with restaurants, shops, pleasure boats, sight-seeing cruises. But while you are taking in all these sights and attractions, take some time to soak up the history and culture of this area. Visit Fort Preble, which was once used to guard the approach to the Portland Harbor. Another is Fort Scammel, a Civil War Fort on House Island. This island at the turn of the last century served as an immigration hospital for thousands of immigrants entering America. The Portland Museum of Art displays three centuries of art and architecture, including collections of Maine artists Winslow Homer and Andrew Wyeth. Right next door is the Children's Museum. In years past tall ships plied the waters of the harbor and today the area remains steeped in history. Through downtown admire the Victorian architecture and cobblestone streets amid the modern office buildings. Portland has numerous galleries offering everything from fine paintings and prints to sculpture, art glass, ceramics and jewelry. 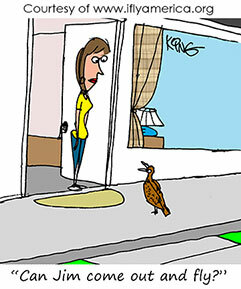 If you are visiting on the first Friday of any month, take the self-guided tour through the Arts District. Stay on land or venture on to the bay, the fresh salt air reminds you that you are in a unique spot where you can enjoy, relax, venture forth, or soak up culture. You're in a Maine attraction. The Portland International Jetport is within two miles of the city. There are multiple instrument approaches'ILS, GPS, NDB'to the two runways. Fees: parking, overnight. Long Lake Seaplane Base-23 nautical miles; fresh water, landing lanes 16/34 15,000x3,960. Fuel available by prior request. Victorian Terrace on the Prom - on the waterfront, 13 miles from the airport, restaurants nearby. Rates: $200 - $325. Indicated rates intended to show approximate range and may differ by seasons or other influences. You can check rates and book your room and rental car at IFA's Online Travel Booking Service. Significant hotel and car rental discounts may apply. Pepperclub Restaurant - Specializing in vegetarian dishes, Dinner entr'e $8.95 - $14.95. The listed restaurants are just a random sampling of the many fine-eating establishments in and around Portland. Prices are general and may vary. 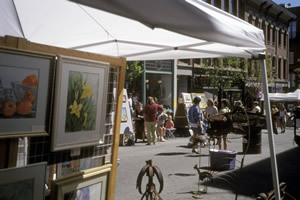 Check out the Convention & Visitors Bureau of Greater Portland for more information www.visitportland.com. Notice: This information is current as of May 2005. It is recommended that you contact the numbers, and/or visit the websites above to determine any changes to the information.